If you’re “waiting to sell” your home, you’re not alone. I’m constantly hearing that inventory is low because sellers are reluctant to list their homes on the market. There are a few reasons why potential sellers are not listing homes right now. The most prevalent is that there are not a lot of homes available to buy, so many are holding off on selling out of fear that they will not be able to find a home to move into. In addition, many people have refinanced their mortgages and don’t want to give up their comfy, cozy, low-interest rates. Finally, the uncertainty surrounding the November election has frozen sellers in their tracks, keeping them from listing otherwise available homes on the market. However, remember that one decision impacts the next. Deciding to hold off on selling your home now is a decision to live with the conditions at play when buying a home in the future, which can have more of an impact on your finances than you might realize. Let’s consider current interest rates. Back in 1981, interest rates were at about 18%. Today, interest rates are below 3.75%. 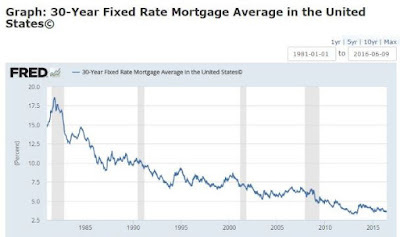 Interest rates have never been this low, and will not remain this low for long. To put this further into perspective, let’s take a look at an example mortgage for a $200,000 home with 10% down. This puts you at a $180,000 mortgage. At the current interest rate of 3.75%, your monthly payment would be about $834 per month (principal and interest only, not including taxes or insurance). Over the course of a 30-year mortgage, you’d pay about $120,000 in interest on that home. This is a pretty typical West Michigan purchase scenario. Now, let’s assume that interest rates rise as the economy improves, as they often do. 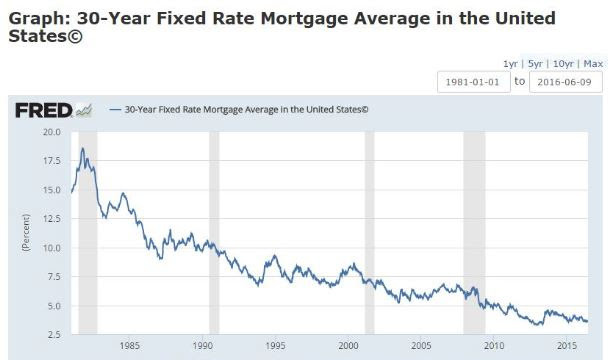 As shown below, if rates increase modestly by 1.75% on that same mortgage to bring the rate up to 5.5%, the monthly payment jumps from $834 per month to $1,022 per month. That’s a $188 increase, which is roughly the equivalent of a car payment. Annually, that’s $2,256—the cost of a family vacation. Now we’re talking about real money; money that impacts your lifestyle. In terms of the big picture, that $120,000 at 3.75% interest jumps up to $188,000. This is nearly a $70,000 increase just for waiting to list your home. It’s also important to note that this figure does not factor in the price increase for a property. If you can correctly navigate today’s market, it’s possible to end up in a win-win situation in which you’ll get a maximum price as a seller, then take advantage of low interest rates as a buyer. If you’re interested in finding out what your home will sell for in today’s market, give us a call or send us an email and we’d be happy to discuss it with you.